When I was 16, I decided to try a vinyasa yoga class offered at my local gym in Upstate, New York. I had no idea what I was doing, but immediately connected to the fluid movement and intriguing philosophy woven in throughout. More importantly, I liked the way I felt upon leaving—-lighter, calmer, grounded. 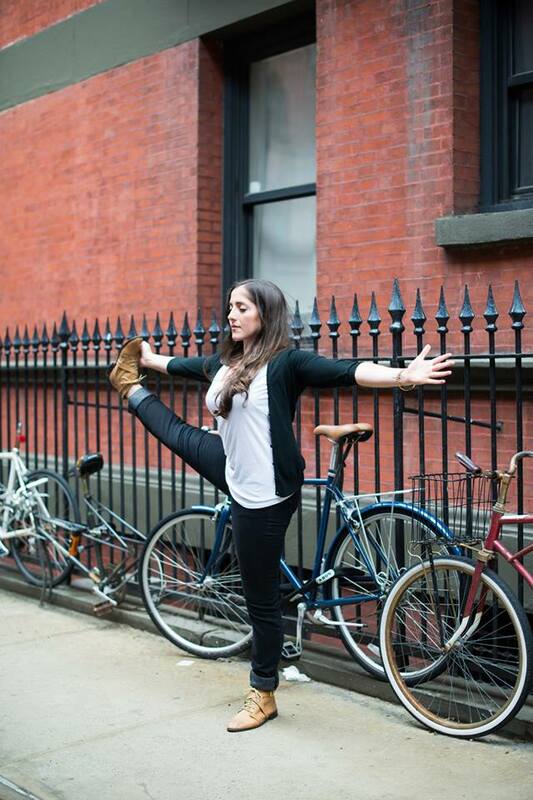 After dabbling in yoga throughout college, where I received a BFA in Musical Theatre, I moved to New York with aspirations to become a professional singer and actor. Although I loved the craft, I quickly realized I was chasing the idea of the dream rather than the dream itself. This was jarring and uncomfortable to face. My unease once again led me back to the yoga room as an outlet for clarity in both my heart and body. I began to notice that yoga had surprisingly become the constant in my life. Within a year’s time. I made the choice to stop pursuing musical theatre and put all of my efforts into studying the yogic path. I completed my 200-hour Yoga Teacher Training in the Spring of 2013, at the renowned PURE yoga in Manhattan, under the instruction of KayKay Clivio and Yogi Charu. I specialize in Vinyasa, Hot Power Vinyasa, and Meditation, however I am well-versed in myriad styles of yoga and my classes are a fusion of the lineages that have resonated with me over the years. I have been heavily influenced by the teaching principles of Laughing Lotus New York, Ana Forrest, and Alanna Kaivalya. I currently teach at MindBodySoul Yoga in Washington Heights, and for various Equinox locations throughout the city. I believe we are all both teacher and student; my personal practice continues to evolve both in the classroom and in my life, where I constantly learn, question, evolve, and at times, navigate the difficult lessons that result from the choices I make. I hope you feel the humanity in my classes- I encourage you to show up with an open mind and a playful curiosity. Time and time again, I witness the profound way we can surprise ourselves with our potential, even and especially in the most resistant of times. If you are here, it is because some part of you seeks a more meaningful existence. As is the underlying lesson in yoga, we can always begin again.